Just outside of Ponca City is one of Oklahoma's most unusual parks. 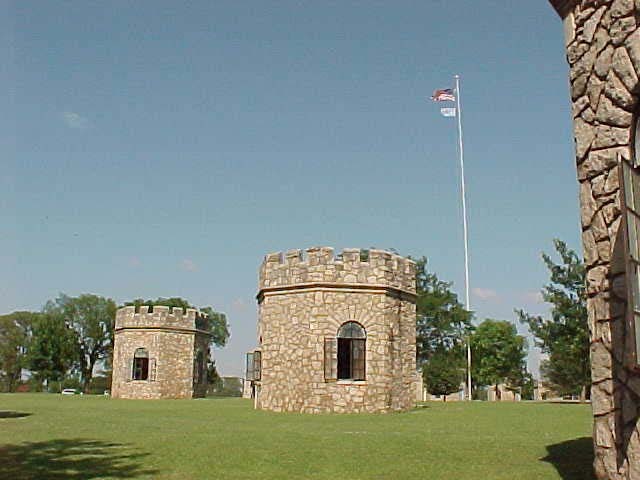 The stone turrets and Romanesque structures look like a Medieval hamlet was magically plopped down in the prairie. In reality it's the Wentz Group Camp & Pool. 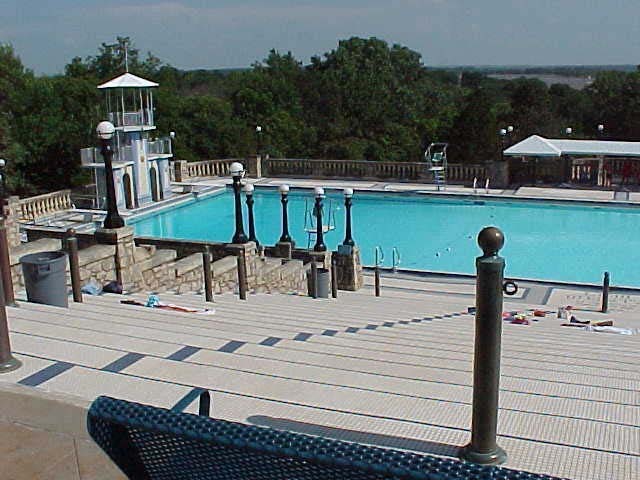 The park, swimming pool and group camp were built on property donated to the city in 1925 by oilman Lew Wentz. His vision was for a playground to serve the children of Ponca City and a place for crippled children to enjoy. Wentz hired architect Leonard H. Baines to design the cabins, pool and entryway. This has to be one of the coolest places in Oklahoma to throw a party! 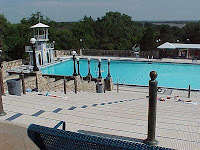 A massive 150-foot long swimming pool overlooks Lake Ponca and has its own castle. Dramatic steps lead down to the pool and were once the site of the Miss Oklahoma beauty pageant. Dressing rooms are downstairs and thick glass windows look into the pool. The facility has been in continuous operation since 1930 and can be rented for campouts or private events. The dining hall has a full kitchen and can seat 120 people. The little castles can sleep up to 144. Or just swing by and for a couple of bucks you can take a dip in the pool. For information regarding availability for rental call 580-767-0432. To learn more visit www.poncacity.com. This looks nifty. Can't believe I've never run across it before. Sound like a great way to stop & cool off on an OK summer ride. This is indeed a neat little area / campground. Plus, its right by Lake Ponca Park, so you can go do a few laps around the old Ponca City Grand Prix track while youre there!